To read parts one and two first, click here for part one and here for part two. The next morning the young man arrived and started work as a junior in the law firm. Later in the morning, before going to the court, they would all gather every day for an early lunch. As they started lunch, Sir C.P. looked around for his new employee, but couldn’t see him anywhere. When they left to go to the court to take up their cases of the day, he spotted the young man outside under the same tree where he’d been standing the day before. The man worked for many years in Sir C.P.’s law firm, as a valued member of the legal team. His adult grandchildren have remained in touch with Sir C.P.’s family. Sir C.P., though he was from Madras, began to be called upon to serve as an advisor to the Maharaja of Travancore, Maharaja Moolam Thirunal. His advice was always wise, principled, and practical. Travancore was an Indian state that was later divided up, in 1956, with most of the land becoming part of Kerala, and a smaller section becoming part of Tamil Nadu. 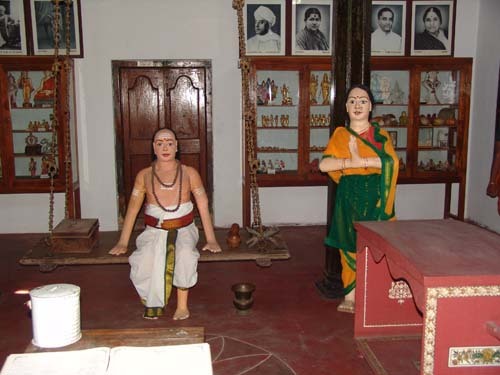 In Travancore, at that time, there was a traditional matrilineal system in place, which meant that the ruler would be succeeded not by his own son, but by the son of his sister. So when the Maharaja died, his sister’s son was in line to inherit the throne. There was a difficulty though. The Maharaja’s sister had been adopted, and after her brother died, her son Chithira Thirunal, became the subject of controversy. Rumors were spread about him that he was not mentally stable and not qualified to occupy the throne. Sir C.P., as a good friend of the family, was asked to help. Sir C.P. arranged for the young man, Chithira Thirunal, to meet with the British Viceroy, Lord Wellington, who during their meeting, was very favorably impressed. He had Chithira Thirunal appointed as the Maharaja; but with a condition attached. Because Chithira Thirunal was quite young, and because of the amount of controversy that had been swirling around him, Lord Wellington insisted that Sir C.P. must be permanently on hand as Legal and Constitutional Advisor to the young monarch. Living and working in Travancore, instead of Madras, was not the course Sir C.P. might have chosen for himself, but since it was the only way the young Maharaja could take his place on the throne, he reluctantly agreed. Sir C.P.’s mother Rangammal, who he was very close to, was not happy about this, and though she could understand Sir C.P’s position, she never entirely reconciled herself to the decision. 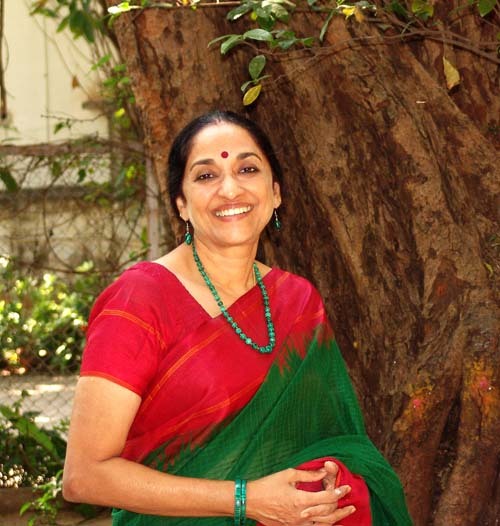 She had envisioned her son spending his career in Madras, as his father had done, as a brilliant, successful lawyer. This is how Sir C.P. came to be in Travancore, where he was to play a major role, as Dewan (or Prime Minister) of Travancore, from 1936 to 1947. He and the young Maharaja, whose position he had helped to secure, worked extremely well together. Sir C.P. brought fresh new energy to the state of Travancore, and did much to guide the state into the modern world. As well as advancing the cause of social equality with the issuance of the Temple Entry Proclamation, he introduced a great many other bold reforms. Travancore, during his term as Dewan, became the first Indian state to abolish capital punishment, the first to give voting rights to every adult, the first to provide compulsory education to all children and the first to ban hunting of wild animals. He nominated the first woman district judge in India, and the first woman to serve as Surgeon General anywhere in the world. He was often kind in simple, down to earth ways. When, one day, he saw a poor boy lying sound asleep in the sun, discovering that the boy had had nothing to eat for two days, he not only gave the boy money, but he also set up a program to provide free midday meals to schoolchildren. The program continues to this day for poor schoolchildren in the states of Kerala and Tamil Nadu. Second photo: A painting by Raja Ravi Varma / Wikimedia Commons / “This work is in the public domain in the United States, and those countries with a copyright term of life of the author plus 100 years or less.”/ Maharaja Moolam Thirunal Rama Varma. Fourth photo: Wikimedia Commons / “This file is licensed under the Creative Commons Attribution-Share Alike 3.0 Unported license. 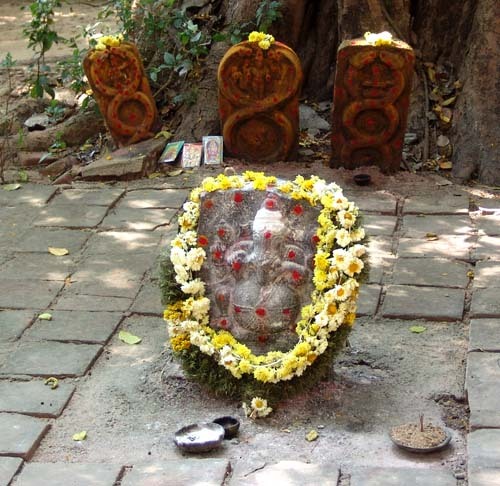 Attribution: Manu rocks at en.wikipedia” / The residence of the Maharajah of Travancore. Annie Besant, born into a middle-class family of Irish descent, was a freedom fighter, active in the causes of both Indian and Irish home rule. She, Sir C.P., and others worked together to organize the Home Rule League, in India, and the first meetings were held outside Sir. C.P.’s family home, “The Grove,” under a tree which still stands today, with a plaque beside it commemorating the meetings. They were held outdoors because Sir C.P., being a lawyer, was well aware of the law that would allow the British to confiscate any building that was used to oppose British rule, consequently, the meetings could not be held inside. Annie Besant, though she was 32 years older than Sir. C.P., never referred to him informally as “C.P.”, which his friends did whenever he was visiting. She had been given a gold cup and saucer, which she used only to serve him tea. Being a man, he did not pay much attention to cups and saucers, and he never noticed this honor that was being paid to him, until one day his mother Rangammal pointed it out to him. From 1936 to 1947, Sir C.P. served as Dewan, or Prime Minister, of the state of Travancore, under Maharaja Chithira Thirunal Balarama Varma. In those days the caste system was fully in force. If anything, British rule had reinforced the caste system, which the British sometimes found useful as a way of maintaining their hold over the various sectors of the population. And after all, class distinctions were a way of life in Britain too; it was a system they were used to. Sir C.P. who read avidly, who wrote books on a vast range of subjects, and who could converse eloquently on any subject at all, was a complex individual. He was a reformer, yet a pragmatic realist. Far-sighted, he looked ahead, envisioning how his policies might affect the future. He was one of the individuals who played a significant role in bringing India into the modern world. Certainly, it was inevitable that India, one way or another, would make a transition from ancient ways to a more modern way of doing things, but exactly how that would happen was what was at stake. Sir C.P. had a great deal to do with ensuring that the transition incorporated the elegance, grace, and undying respect for culture and tradition that is still so much alive in India today. Though a Brahmin by birth, he was opposed on principle to the rigid inequalities and unfairness of the caste system. He was instrumental in the enactment of the Temple Entry Proclamation, which was issued in 1936 by Maharaja Chithira Thirunal Balarama Varma. Prior to this proclamation, the dalits, who historically were considered to be beneath the four castes of the caste system, were not allowed to enter Hindu temples to worship. The Temple Entry Proclamation stated that any Hindu of any background or caste could freely enter the temples. This was a bold shot across the bow of caste-based discrimination. Issuing the Proclamation paved the way for the eventual demise of the legal framework of the caste system. Newspapers all over India took note of the new law, and, despite shock and dismay in some quarters, for the most part, there was general rejoicing. Sir C.P. also practiced absolute fairness to everyone in his own personal life. On one occasion, for three days in a row, on leaving his law office, he spotted a young man standing outside under a tree. On the holiday of Deepavali, November 13, 1879, a couple of hours before sunrise, a baby boy was born to C.R. Pattabhirama Aiyar and his wife Rangammal in the town of Wandiwash in North Arcot. Wandiwash (the anglicized version of Vandavasi), is perhaps best known for a decisive battle fought in 1761 during the Seven Years’ War. Both the British and the French were fighting for control of south India, which, of course, neither of them had any right to, since they were from Europe and not from India. Having more money and more resources, the British won, securing the capture of Chengalpattu, Thiruvannamalai (the location of the mountain Arunachala), Tindivanam, and Perumukkal. The holiday of Deepavali is celebrated all over India, in memory of the triumphant return of the great heroes Rama and Sita to reign over their kingdom, Ayodha. On their return they were greeted by a joyous populous, carrying thousands of lights; commemorated ever since then, the festival is a celebration of lights. The boy’s full name was Chetpat Pattabhirama Ramaswami Aiyar. His father, C. R. Pattabhirama Aiyar, had high hopes for him and was a stern disciplinarian, all the more so since two astrologers, one a European and one an Indian, had both predicted that the young boy would never pass an exam in his life. This grim forecast made an impression on Pattabirama Aiyar, who was a distinguished judge and a prominent leader in the community. He concluded that his son would need a strict upbringing in order to make a success of himself and continue the family tradition of public service. During his school days, if C.P. was more than a few minutes late arriving back home, he would find himself locked out of the house, expected to skip dinner, and forced to spend the night on the verandah. Actually, the verandah was pleasantly cool, and his mother Rangammal, or one of the servants, always found a way to smuggle his dinner to him, with some extra dessert as well. His father had a special high desk made for him, so that he could stand while studying, since his father feared that he might otherwise nod off and fall asleep. There was no need for his father to have worried so much about his success. Not only did C.P. pass all his exams with flying colors, he was brilliant in school, winning prizes in English, Sanskrit, and Mathematics. Dreaming of becoming an English professor, he sailed through every course with ease. However, his father insisted that he become a lawyer, not a professor. In those days, as is still true today, children in India are expected to obey to their parents, not just when they are young, but throughout their entire lives. So C.P. gave up the idea of becoming a professor and took up the profession of law, graduating with distinction from the Madras Law College. From 1920 to 1923, Sir C.P., as he later was known, served as Advocate General of the Madras Presidency — the equivalent of State Attorney General. It was during a prominent legal case, in 1912, that C.P. first came into contact with Annie Besant, who later became a close associate of his. The Besant – Narayaniah Case was brought against Annie Besant by G. Narayaniah, and was prosecuted by C.P. Annie Besant had adopted G. Narayaniah’s two young sons and sponsored their education in England. Over time, however, the boys saw less and less of their father, and his suspicions grew that they were deliberately being kept away from him. The case had a link to Theosophy, since one of the boys was Jiddu Krishnamurti, who had been “discovered” as a future world spiritual leader. Anne Besant was a leading figure in the Theosophical movement, and one of the accusations was that the boys were being indoctrinated into Theosophy. On behalf of the boys’ father, C.P. won the case, with Annie Besant acting as her own lawyer. Later on, however, the case was overturned by the Privy Council, a Judicial Committee in England, which was the final court of appeal for the British empire and could overturn the decisions of Indian courts. Annie Besant wrote to Sir C.P. to express her profound thanks for the great respect and courtesy he had shown to her during the case. He had, indeed, shown her great courtesy by declining to have her charged with contempt of court, though there were some grounds that would have supported this charge, which would have landed her in jail. The two established a firm friendship which lasted the remainder of her life. Top photo: Author – Banandhan / Wikimedia Commons / “This file is licensed under the Creative Commons Attribution-Share Alike 3.0 Unported license.” / Vandavasi, Tamil Nadu, India. The decisive battle of the Seven Years War, which the British won, was fought here over 100 years before C.P. Ramaswami Aiyar was born in the town.